The group gathered at Quarry Plaza for the “Antagonistic Vigil and March.” Photo by Casey Amaral. Protesters expressed their discontent over the increasing presence of police in the city and on campus. Photo by Casey Amaral. Protesters condemn police violence around the world. Photo by Casey Amaral. 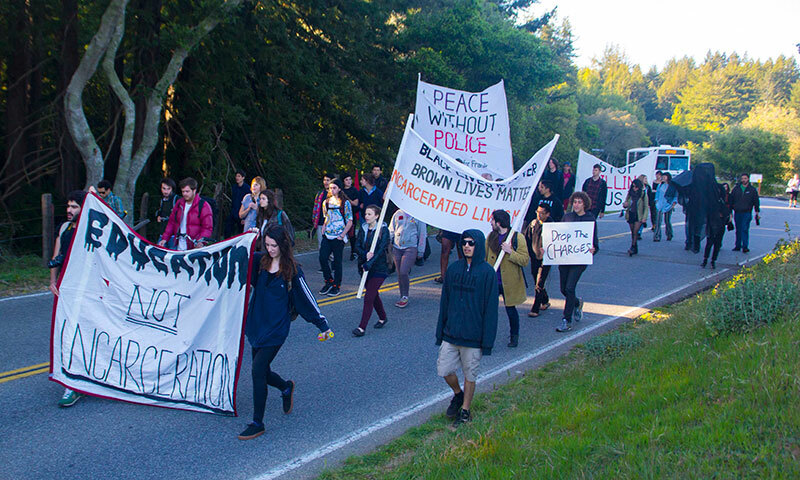 Students also protested the two-week interim suspension and multiple charges of the six UCSC students arrested during the Highway 17 protest. Photo by Casey Amaral. 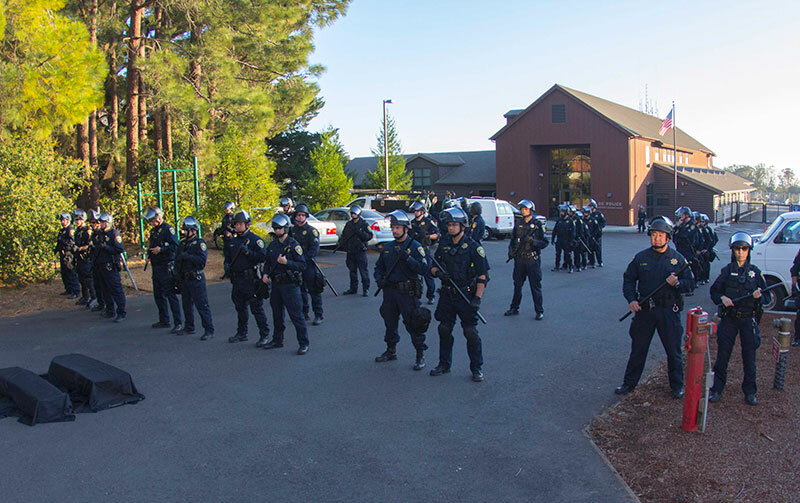 Over 20 UC police officers in riot gear block the entrance to the UC Santa Cruz Police Department as students stand nearby protesting police brutality. Photo by Casey Amaral. 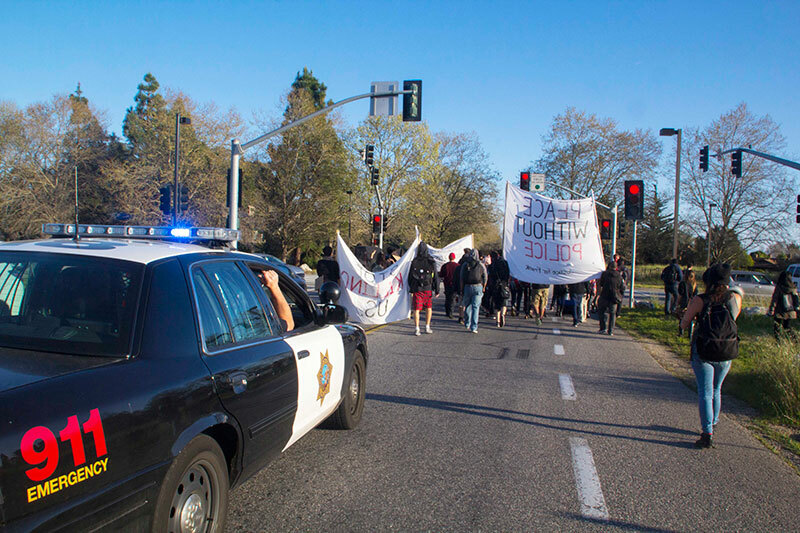 About 50 protesters marched to the UC Santa Cruz Police Department on Wednesday and were met by over 20 UC police officers in riot gear. The protesters laid two coffins to represent the victims of police violence in front of the officers. 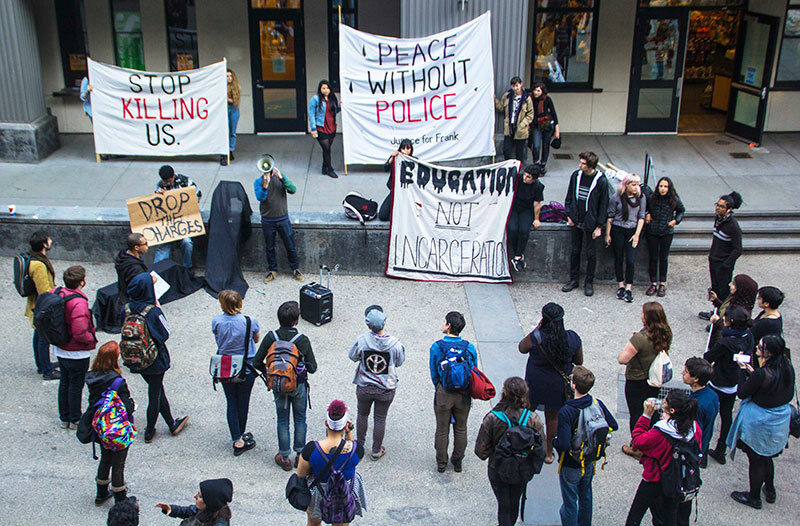 The group gathered at Quarry Plaza for the “Antagonistic Vigil and March,” where protesters expressed their discontent over university privatization, police violence around the world and the increasing presence of police in the city and on campus. Many attended to show solidarity for the students arrested in the protest on Highway 17. UC police officers blocked protesters from entering the department. Speeches were read as officers stood in front of the protesters. The coffins were left behind as protesters left the department. 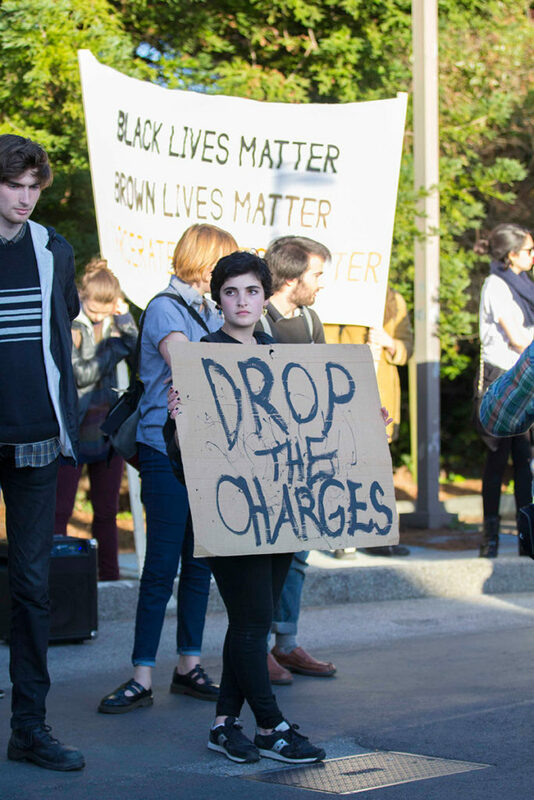 “Time and time again any inkling of student protest is used as an excuse to turn campus into a playground for militarized riot police,” said UCSC student Matt Wranovics.